Ikelite G10 Underwater Housing for Canon G10 Digital CameraIkelite G10 Underwater Housing for Canon G10 Digital CameraIkelite, G10, Underwater, Housing, for, Canon, G10, Digital, Camera,Underwater, Digital, Photography,Underwater, Digital, Video. The Ikelite Canon G10 is a great housing for someone who wants the best there is to offer in an underwater compact camera housing. Excellent TTL conversion circuitry is built right into the housing, giving the user true hard wired TTL exposure. Every camera function except the self timer and continuous button is accessible in this very sophisticated housing installation. The included tray and release handle offers balance and exceptional handling while providing a convenient attachment point for optional Substrobe mounting arms or your existing Ultralight arms. 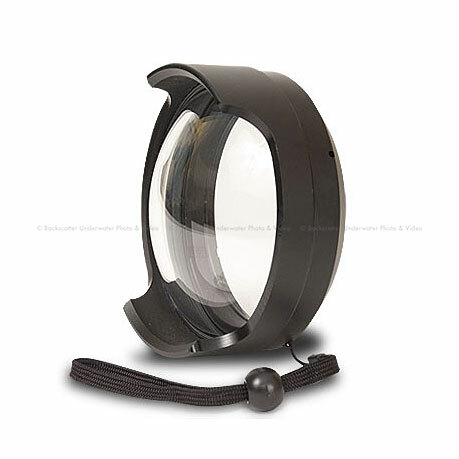 Strobe arms can be released easily at the touch of a button whether above or below water. Special conversion circuitry built in to the housing provides true Canon eTTL exposure connected to any current model Ikelite DS Substrobe. The camera controls the Substrobe's output resulting in an automatic TTL strobe exposure. Using a hard wired TTL will save camera battery life and decrease the recycle time of the camera between shots because the camera's internal strobe can be turned off when connected through the housing's hot shoe. Complete housing and camera weighs less than 6 pounds. Housing measures 7" wide (10" wide with the removable handle bar attached), 6" high, and 6" deep.